If you’re reading this, there’s a good chance a you’ve watched an online video or two -- maybe even in the last few hours. It’s usually the funny memes of dogs riding in the car with their heads out the window or a chubby babies dancing like no one is watching that get me every time. Or it’s the tutorials on how to put together baby strollers or toys -- thank you to everyone who makes those videos. But, online video isn’t just about killing some time on the subway ride home from work. Online video has turned into an enormous opportunity for B2B and B2C marketers to better engage their customers and prospects. Also, video for sales is a huge opportunity that many sales teams aren't embracing yet. YouTube alone has about 5 billion videos watched every day by more than 30 million users. Plus, did you know that marketers who use video grow revenue 49% faster than those who don’t? This stat made me a little curious, so I decided to put it to the test. How could video alone help businesses grow THAT much faster? Most websites I’ve encountered aren’t using video, so I really wanted to what businesses were and if they were succeeding with it. So, I took Time’s list of the 50 Hottest Startups. Startup businesses are usually a little more edgy than large corporations, employing some of the brightest minds and trendy marketing techniques like “viral videos,” so this seemed like the best place to start. Was the video easy to find - i.e. could i find it in 5 seconds or less or within 2 clicks. Did it help me better understand what the company and make me want to learn more or become a customer? As a marketer did I give it a thumbs up? In other words, was the goal/next step clear and something I wanted to do after watching? Based on this criteria, only about 12 of 50 companies on the list were creating effective sales videos. Here are all of my favorites and some insight into why they made the list. Making a brand human can be a very difficult thing for most companies to do. As mentioned in Forbes, people don’t instantly trust brands. They usually tend to see corporations as faceless profiteers. People trust other people, so corporations have to make themselves more human. Video makes humanizing a brand more effective because it can show human emotion and make you feel something. In this category, I found a couple that did a great job at tugging at either tugging at the heart strings or utilizing humor. Recently, ride sharing companies, primarily Uber, have made headlines for negative consumer experiences among other things. LYFT has done an amazing job combating this with a video on their website explaining why their drivers choose LYFT and the quality of life it allows them to have. The most moving video I found was one about Paloma, a driver in Las Vegas, who has autistic children and dreams of taking them to Paris to see the Mona Lisa. Paloma was driving on October 1, 2017 when a gunman opened fire on the Las Vegas Strip. This video shares her story and hearing it shows that the people who make this brand a brand are good, and generates trust from the consumer. Would I choose LYFT over Uber after watching this video (and others on their site,) you bet. On the emotional flip side, I really love to laugh. Injecting humor into your company or product story has proven to go a long way in consumer memory recall. It also goes a long way in breaking down walls that consumers often put up because of that previously mentioned lack of trust in brands. When people laugh together, it builds a bond. So, if a company can make a consumer laugh, the consumer is more likely to be open-minded to and like the brand. Snowflake does this exceptionally well. The video was a scrolling CTA on the website’s homepage hero image. After clicking on it, it leads you to a page called “The Data Struggle.” The humor helps me understand what they do and the value it provides without getting technical or using jargon - just humor! 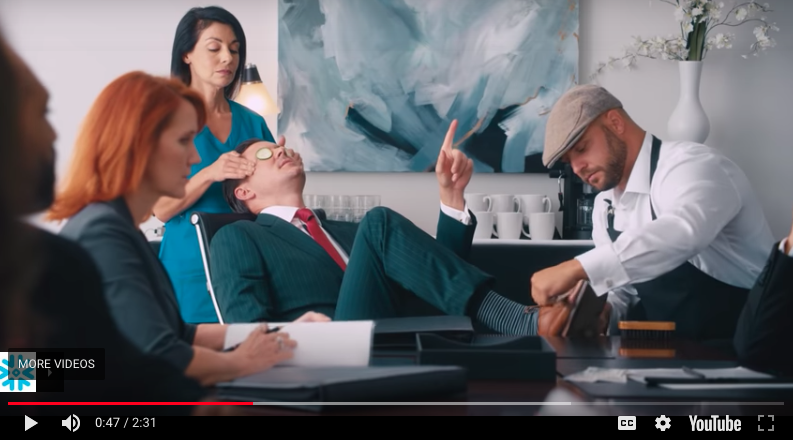 It even had additional videos to create a series for those who were looking for even more laughs about Business Intelligence and IT. In sales, it’s important to always set realistic expectations with prospects and clients. Elements of surprise in business aren’t a good thing, especially if a client or prospect thinks or believes something different than they actually should. For that reason, I really like this next video. Out of all of the companies on the list, I was only able to find one, “What to Expect,” video. I liked this video because it removes the uneasiness that often coincides with deploying a new (name any type of software) platform as well as introducing the roles of each person inside of the organization and how they help get you off to a good start with their product. Drift produces its own videos. Their production value isn’t the highest of quality but by using real employees, speaking directly into the camera in friendly, inviting voices, they build trust. If I was on the receiving end of this sales video as a prospect or even a new customer, it would definitely properly set my expectations and get me ready to get started with my Drift team. I also like to call these “explainer videos” because they help take more complex concepts that businesses tackle and simplify them. Not to be confused with a demo video, how it works videos don’t show how the product works; instead they tell you what problems a company solves and how you can benefit from the product. If I was an up and coming pop star, I’d be a customer of United Masters. Not only are the graphics engaging but, the words explain the company’s value proposition and details how I can benefit without showing me a darn thing. I could go from having no fans to creating superfans and making millions of dollars with their platform? Heck ya! Now, now if only I had a voice like Adele. This consumer sales video from puls is a short but sweet 27 seconds and it’s 27 seconds well spent to learn exactly how the company can save you time and frustration in setting up household electronics. It’s like having Lyft for your “Honey do” list. Unlike How it Works videos which give a general overview of a company and what it does, a product demo video actually demonstrates how a product looks and functions. Many companies hide demos behind forms or contact sales requests, but I wouldn’t recommend this. 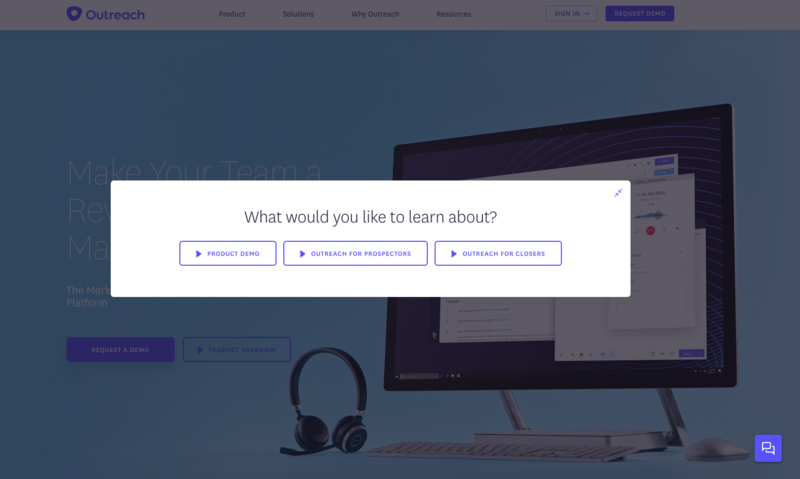 Companies that show a demo upfront, build trust and lead to more qualified conversations down the line. When you hide your demo, people wonder why and assume that you have something terrible you don’t want them to know. To a similar effect, companies without product demo videos leave consumers wanting more and eventually most likely abandoning your website without taking action. 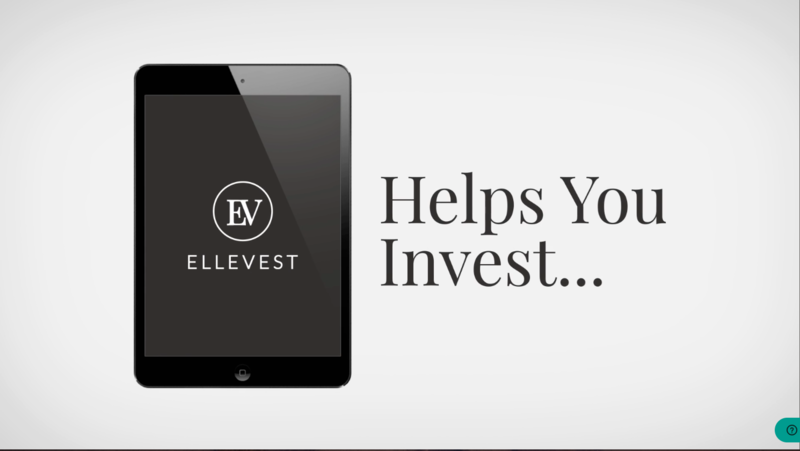 This product demo gives an awesome visual walkthrough of ElleVest’s product. It shows the application, explains how and why women should want to sign up, and there is a great conversion point at end. This is the first video that prompted me to take action and sign up for their newsletter! Now, this one’s a little bit different. While perhaps not a traditional product demo, it accomplishes everything one should. Overall, it’s a creative demo for the creative minds of their buyer person. Bravo InVision App ! From a content perspective I like this video because it states the challenges it helps companies overcome within the first five seconds, then immediately demonstrates how it does so. The video is also hosted directly on the company website, not offsite, so you can take action and learn more right away. Glint’s demo also works because its optimized for conversions with a form to request a live demo to the right hand side of the video. The design and animations in the video are fresh and modern. Now, it’s not really the content of this video that made it make the list, but the journey. Outreach, does something different than every other company on this list by allowing visitors to self-identify and almost “choose their own adventure” after clicking on the “product overview” CTA. They must choose from “Product Overview,” “Outreach for Prospectors,” or “Outreach for Closers” in order to continue. This is genius because it effectively puts you into a bottom-of-the-funnel bucket or persona bucket and is likely tied to event-triggered nurturing so that the marketing department can continue to market to each person who converts on the event trigger in a personalized manner. Well done! Depending on what you select, a different video plays to give you more information on that topic. I chose the “product demo” video first and loved that it has a call-to-action to schedule a (live) demo in the upper right-hand corner throughout the entire video. This makes it easy for the viewer to take action whenever the mood strikes them. The other two videos also had a live demo CTA that popped up occasionally throughout. All three of these videos are very effective and take the prospect on an awesome buyer’s journey. 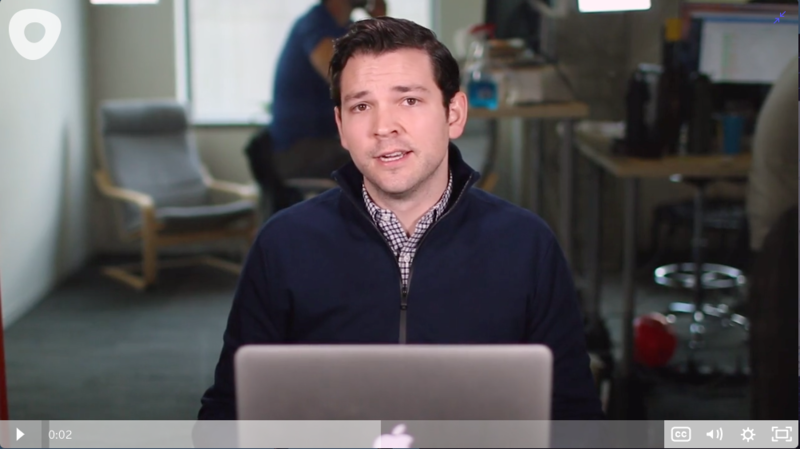 These sales videos were also easy to find with a “product overview” CTA in the hero image. Social proof goes hand-in-hand with trust. The more real people share how much they love working with a company, the more trust you can build with potential customers before even engaging in a sales conversation. Here we have a video testimonial for Samsara. In less than two minutes, Fort Point Beer articulates why Samsara’s logistics solution has increased efficiency and profitability. Instead of outsourcing delivery and logistics, like most breweries do, Fort Point Beer tackled that challenge by leveraging Samsara. The sincerity and emotion the CEO exhibits allows you better connect with the brand and envision the possibilities Samsara can offer. Here we have another beautifully produced video from InVision that touts some of the largest names in tech as clients. Showing users at Netflix, Hubspot, MailChimp, Evernote, Eventbrite, Xero and Zendesk, I’m not quite sure how one wouldn’t use InVision after watching this video. Employee bio videos are extremely beneficial sales videos. Sales has such a poor stigma that so many of us do whatever we can to avoid talking to a sales person. Employee bio videos help ease the stress of getting introduced to a sales person because you can see them, learn about their life, their interests, their quirks and talents - everything that makes them human and more trustworthy. It takes the used-car salesman stereotype and makes sales human again. If you want to do employee bios well, take a page from the Enjoy book. Each market this company operates in has a page for its employees and each employee has a bio video on that page. Pretty cool since you get to see who will be coming to your home and getting your product set up. Audrey (seen below) looks pretty fun and trustworthy to me. I’d definitely let her come to my house and help fix something! This company has videos about everything. Social proof, product explainers and how it works videos. This is a company that uses video to engage really well at all stages of the funnel and one that we all can learn from. First, if you haven’t watched all of the video examples above, that should be your first step. Second, think about your conversion path and buyer’s journey. Make sure your videos are purposefully leveraged throughout it. Use humor if possible, talk about the problem your product helps solve, show the product, make sure graphics are fresh and not dated, don’t overuse graphics - just show your prospects what they want to see - especially the humans make your brand, your brand! Now, go shoot some sales videos!